Comb-crested Jacanas occupy coastal and sub-coastal regions from the Kimberleys, Western Australia, through northern Australia to about Grafton, New South Wales. They are more common in the north of their range. 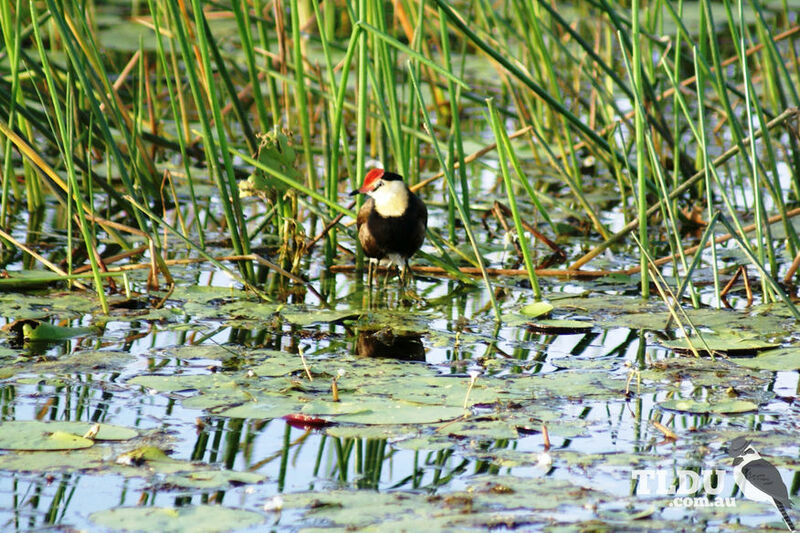 The Comb-crested Jacana feeds on aquatic insects, which it seizes from floating vegetation or the surface of the water. It also feeds on seeds and aquatic plants. Birds rarely come to shore. 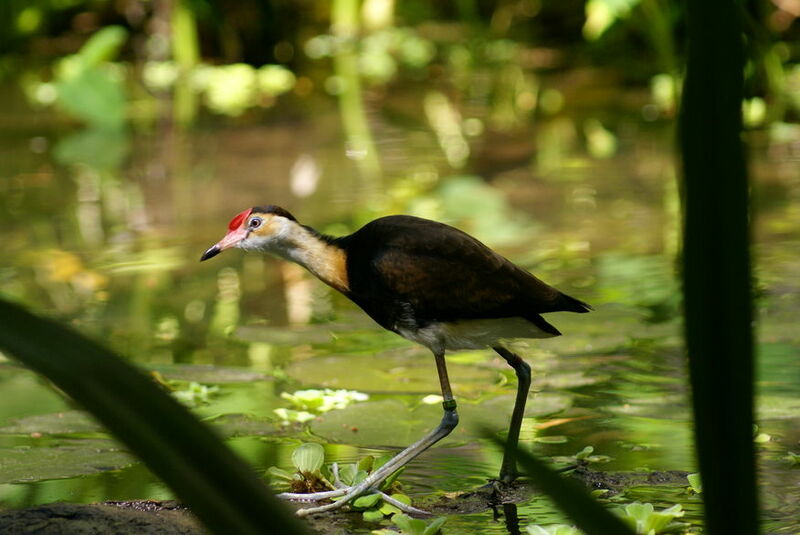 When searching for food, the Comb-crested Jacana bobs its head and flicks its tail continuously.